In the English capital, you can be who you want to be and do whatever you would like to do and nobody will ask you anything. Would you like to see graffiti? Then, you should go to Brick Lane and all its adjacent streets. Would you like to be surrounded by people dressed in elegant clothes? Then, go visit Big Ben! Would you like to be surrounded by people feeling comfortable in their own skin, who don’t care about fashion and about all the other fancy stuff? Then, go to CAMDEN. 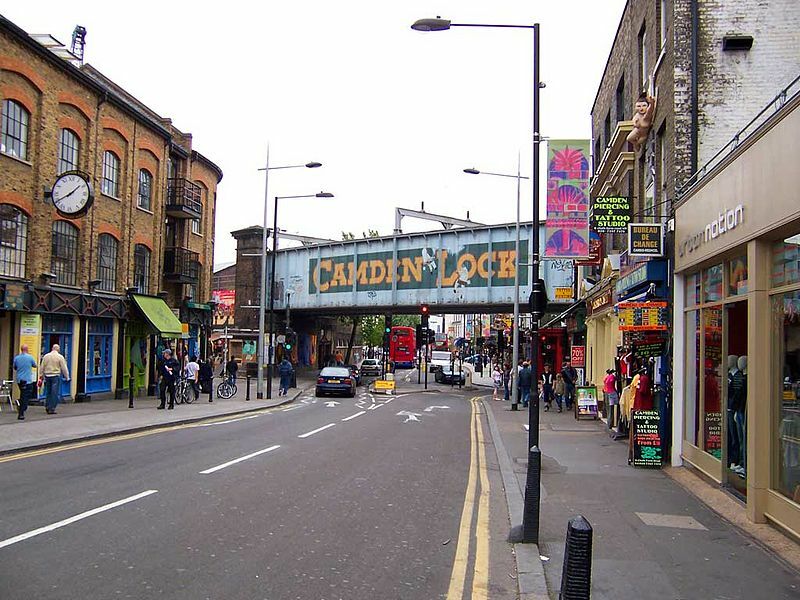 CAMDEN shows us another face of the British Metropolis, where you can find an incredible marketplace and where you could not imagine you can meet so many types of the world’s cuisines. Everything you could think of, you can it find there, from the British cuisine to the Asian one, from Indian to Spanish cuisine, and so on. Someone told me that he even found a bakery, where they sell bagels made just like home (Romania), with poppy or sesame seeds. 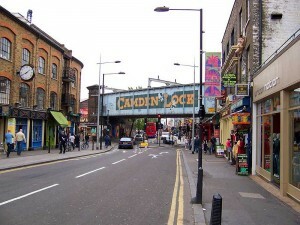 CAMDEN is famous for its cheap restaurants, which come in handy when you have a small budget, but a big appetite. We tried to find the best places in Camden where you can treat yourself with some delicious dishes from all over the world, depending of your food preferences. Below, you can find a list with some of the places where you should definitely go eat, if you happen to be visiting the area. In order to get rail transport from Luton Airport to Camden (NW1), you have to take the bus (Line 888) to Luton Airport Parkway and then the train to West Hampstead Underground. From here, you must use the Underground Service to Kentish Town West railway station. Then, you can walk from Kentish Town West to Camden Town. There are also other transfer options, such as using a transfer service from Luton Airport, West Hampstead or Kentish Town West to Camden (NW1). So as to travel by car from Luton Airport to Camden, you must use the M1 motorway. Luton Airport is 31.7 miles away from Camden (NW1). If you decide to travel by transfer from Luton Airport to Camden Town, you can use the services of 247 Luton Airport Transfer, a reliable private hire car service. The estimated duration of a journey, by transfer, is 1 hour. The price for a transfer service, from Luton Airport to NW1, starts from 49 GBP for a Saloon car, which can carry up to 4 passengers, 2 check in bags and 2 hand bags.